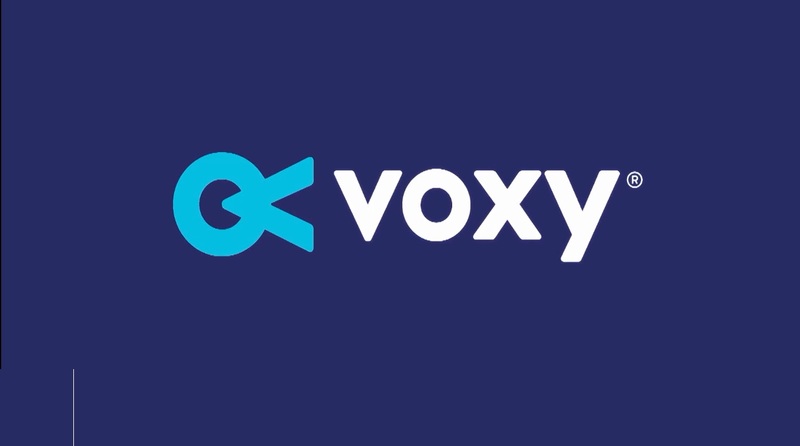 Voxy is a web-based English eLearning company providing institutions with an adaptive, dynamic curriculum and personalized instruction. More than four million people in more than 150 countries have changed their lives by learning English with Voxy. Voxy's personalized, career-aligned courses include a fully integrated mobile app, live instruction with native English-speaking teachers and real-world content that's updated every day. 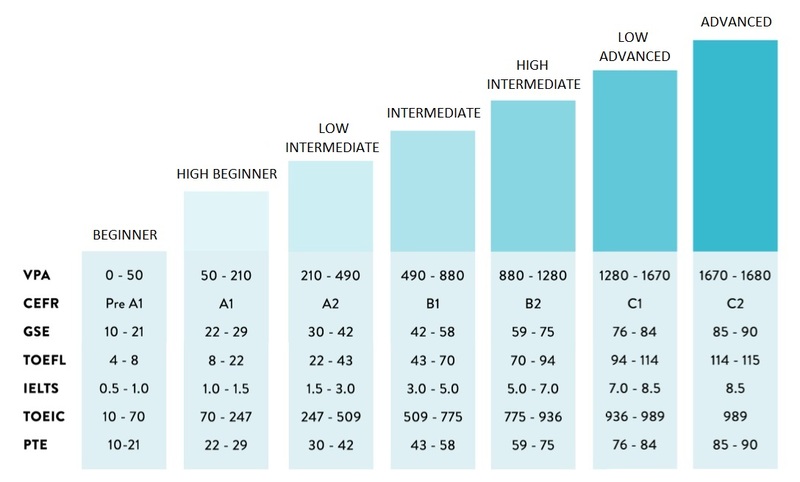 The Voxy Proficiency Assessment (VPA) is an objective and reliable online test that evaluates a test-taker's current English proficiency level and can be used as a benchmarking tool. It can also be used as an on-going level testing. VPA is aligned with CEFR, IELTS, TOEFL, TOEIC and PTE, and can also be aligned to your organization's predefined scale. The VPA takes 30 to 60 minutes and assesses English proficiency in four key skill areas: Speaking, Reading, Grammar and Listening. Learners understand very basic words, phrases and grammatical structures, but cannot communicate beyond the most common words or phrases. Learners understand very simple language in familiar and common situations. Learners can discuss familiar and personal topics and understand the main idea of a text when the context aids in comprehension. Learners can communicate in simple and routine tasks, but frequently make mistakes and struggle to maintain a conversation. Learners understand more complex grammar and identify the main idea and some details in short texts. Learners can maintain conversational exchanges on familiar topics and comprehend the main idea of conversations on a variety of topics and situations. Learners understand a wider range of grammatical structures, and use context clues to infer the meaning of unknown words. Learners can summarize the main idea and identify a range of details in a mid-length text. Learners can communicate effectively in everyday situations and can be understood by native speakers with little effort, but repetition may be needed. Learners can maintain a conversation about opinions, ideas and hypothetical scenarios. Learners understand the main idea in long texts and have good command of more complex constructions, with some errors. Learners comprehend speech on most complex and unfamiliar topics, but might have difficulty with informal speech or unfamiliar technical topics. Learners can interact with native speakers in a wide variety of situations, and express themselves with grammatical accuracy and a wide range of vocabulary with occasional repetition or circumlocution. Learners can infer meaning from texts through interpretation of style and a general understanding of nuance. Learners can easily and accurately communicate with native speakers in any situation and on any topic. Learners maintain consistent grammatical control of complex language under any circumstances. 24/7 multi-channel support through Live Chat, e-mails, and support tickets. Personalized units for every learner to create a personalized curriculum that adapts to each learner's needs, personal interests and proficiency level. Authentic content: Research proves that using authentic content is more effective, which is why Voxy uses 100% authentic content to teach your learners the English that's relevant to their goals. Curriculum-Aligned Courses: Enhance your existing curriculum with Voxy's content and technology. Content Integration: Voxy's patented system can turn any piece of content into English lessons, including your own content. Voxy MOBILE and portable devices: Take English with you wherever you go. Voxy is available on native iOS and Android; and on laptops and tablets. Learner Engagement: Voxy understands that the best predictor of success is the amount of time learners spend immersed in English, so they've designed a multi-channel, data-driven approach to keep learners engaged and advancing toward their goals. Learner follow-up: Voxy creates a suggested study plan for all learners before starting any course. Then they follow up with learners' performance and participation and send notifications by emails if a learner is behind schedule or misses a private or group class, in order to assure teachers stay on track. Private classes online with certified English teachers available 24/7 to deliver personalized instruction to your learners with additional cost at special prices. Group classes online led by Voxy certified teachers. Group classes give learners the opportunity to have real, interactive conversations in English with their peers. Teacher Platform: if you have your own teachers, you can use Voxy's powerful online teaching platform to broaden the reach of your current class offerings. Learners' progress reporting: Follow your learners' progress, identify high and low performers and prove results to justify your investment decision.